Once summer hits, we’re constantly looking for our new go-to summertime salad. This salad is great because it’s so filling, but also includes all of our favorite summer veggies. Bring to your next cookout, or enjoy it all for yourself! Place olive oil and potatoes in a large, deep skillet with a lid on high heat; season with garlic powder, salt and pepper. When the skillet gets hot and starts to sizzle, reduce heat to low, leave the cover on, and cook for about 20-25 minutes. Be sure to shake the pan occasionally to prevent the potatoes from burning to the bottom - especially if not using a non-stick skillet. Remove from heat and set potatoes aside on a plate, covered with foil. Add the sliced sausage to the skillet and saute on medium-low for a few minutes, stirring occasionally, just to give them a nice brown color on each side since the sausage already comes fully cooked. 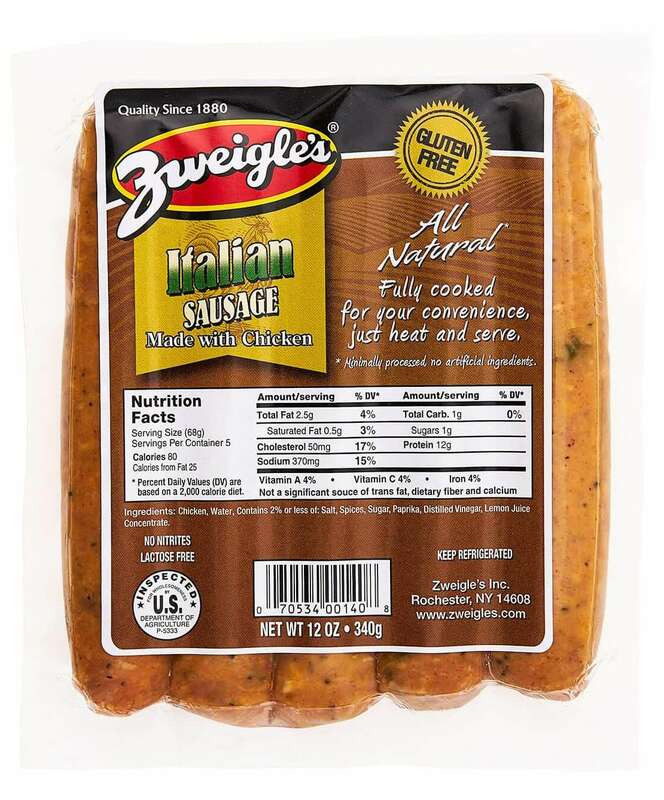 This gives the sausage a richer flavor. Season chopped/sliced vegetables with salt and pepper. Add onions, peppers, garlic and thyme to the skillet and stir. Continue cooking stirring occasionally until onions and peppers become slightly browned. Add zucchini and summer squash and cook an additional 5 minutes, stirring occasionally until all veggies are cooked through but not mushy. Return the potatoes back to the skillet and mix until all ingredients are evenly combined. Add more salt and pepper if necessary; cover and cook 5 more minutes. Enjoy! Get recipes, blog posts, and sneak peaks directly to your inbox each month!